I'm a big fan of Chicago street festivals. They're such a uniquely 'Chicago' thing and usually a fun way to experience all of vastly different neighborhoods that this city has to offer. Well, there's a new[er] kid on the street festival block and it's a little different, but very cool. 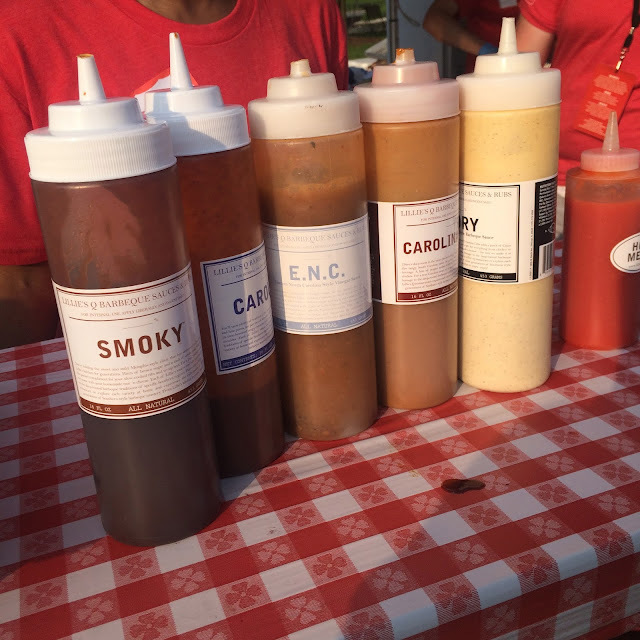 The Windy City Smokeout is all about celebrating three of America's favorite exports: delicious barbecue, country music, and craft beers. I have been out of town during this festival in the past, so I was psyched to attend this year along with over 35,000 other Chicagoans. The Smokeout not only draws a huge crowd of attendees, but this three day festival also draws in well known country artists (like Friday night's headliner Kacey Musgraves), some of the top local food vendors, and a handful of the most renowned barbecue pitmasters from around the US. And as a foodie, you know that the latter had me really excited to attend! The Windy City Smokeout featured a huge variety of craft breweries from both near and far who were serving beer all night in the festival's central beer hall area. Alex was loving the Strawberry Blonde, a fruity craft brew from Shiner Bock in his home state of Texas. Not a beer drinker, I was happy to see Virtue Cider (from my home state of Michigan!) 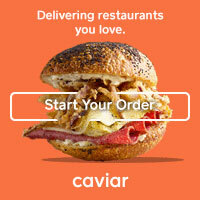 was there pouring their deliciously dry and champagne-like Lapinette hard cider. When it came to food, Alex and I arrived to the Smokeout on Friday night with a big appetite and a simple strategy: hit as many new-to-us barbecue vendors as we can and eat as much as possible. Some of our favorite local barbecue spots were in attendance like Dinosaur Bar-B-Que, Smoque, and Bub City. They're places that we frequent so we decided to attack some of the well known out of towers first: And I knew I wanted to start at The Salt Lick. The Salt Lick is based in the Austin, TX area and is frequently ranked on 'Best BBQ' lists. 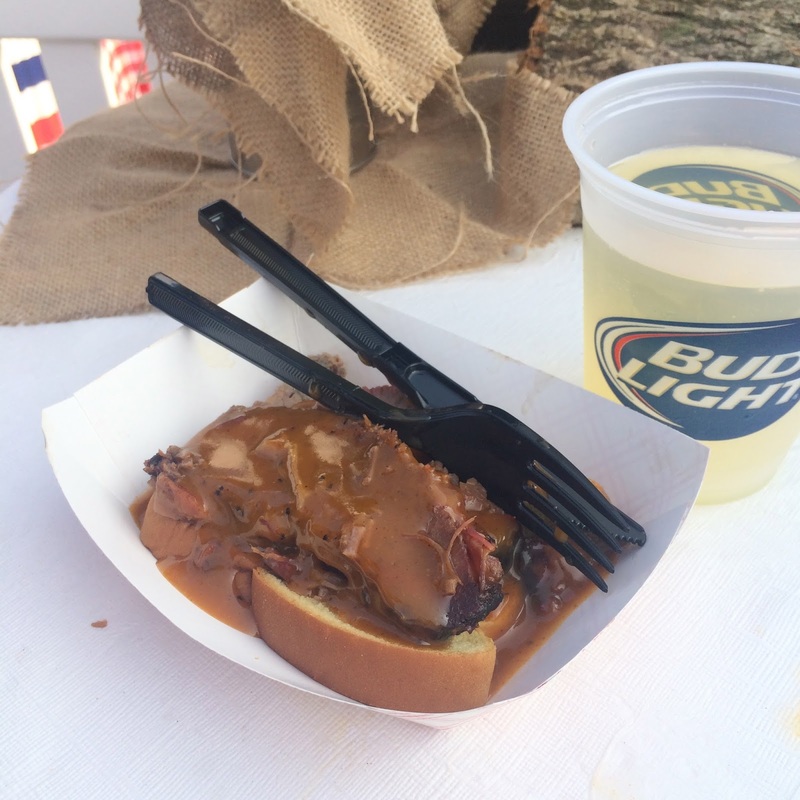 A visit to one of their actual Texas location is on my foodie bucket list, but in the meantime getting to sample their sliced brisket at the Smokeout was a close second. This brisket was something else. I can be really picky about my brisket as it can be anywhere from too fatty to leathery to lacking flavor... The Salt Lick's brisket was none of that. Slow smoked and tender, there was just enough fat to keep it moist but not to make it grisly. It had a great crunchy flavorful crust (which is always my favorite part), smoky flavor, and we topped it with a generous amount of their Original Bar-B-Que Sauce-- a perfect balance of sweet, heat, and mustard. We devoured this brisket quickly and I can safely say The Salt Lick has climbed up a little closer to the top of my "To Eat" list! One of my favorite things about barbecue is the side dishes: mac and cheese, cornbread, coleslaw... I love it all. So, my next stop was at Pappy's Smokehouse, a Memphis-style barbecue joint from St. Louis, MO. I ordered their pit baked beans and was immediately excited to see that they were saucy and there were bits of pulled pork throughout the bowl. The sauce was thick and sweet (assuming from the addition of molasses) and had some serious black pepper kick. Our plan to keep trying new barbecue spots quickly went south (like that BBQ pun?) when Alex spotted the Memphis Walking Taco on the menu at the Lillie's Q stand. Lillie's is one of our local favorites (true story: we actually have three different Lillie's sauces in our fridge right now), but this was a special street fest item that had Alex's name written all over it: a bag of Lillie's Pimiento Cheese potato chips topped with pulled pork, coleslaw, and the Lillie's Q sauce of your choice-- all right inside the bag. I managed to steal one bite from the bag before Alex devoured the rest of it and it was really delicious. 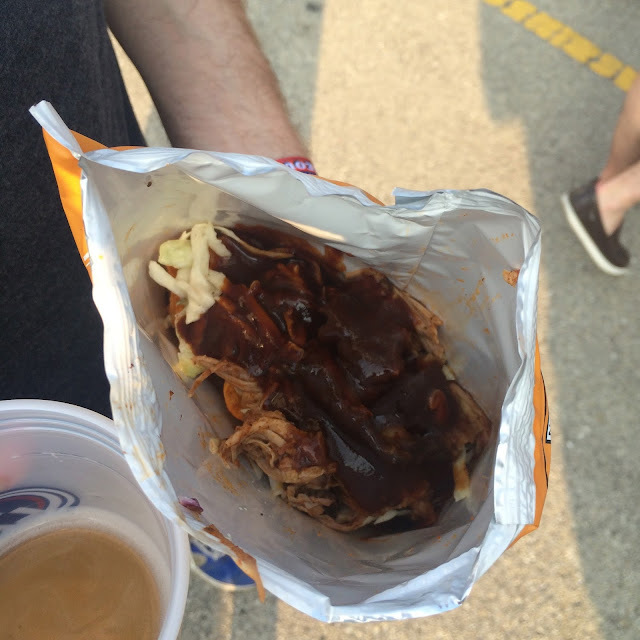 The signature chips had great flavor and combined with the tangy slaw and savory pulled pork, it was a great combo... and how perfect is barbecue in a bag for a street festival? Alex loved it so much that he went back and bought a second bag. He loves spicy food, so this time he doused it in a combo of Lillie's Hot & Smoky Sauce and their Hot Mess hot sauce. This was most likely to ensure that I wouldn't steal another bite. And just when you thought we'd eaten enough, I spied a Pulled Pork Barbecue Sundae on the menu for another one of our favorite Chicago spots Chicago Q and was immediately intrigued. This little cup was packed with all of my favorite barbecue foods: hot baked beans, crisp cool coleslaw, and a generous helping of pulled pork. The whole thing was finished off with a dill pickle spear and one of Q's signature sauces. I love a mustardy Carolina-style sauce and went with their South Carolina Mustard barbecue sauce on top of mine. I loved the creativity of this dish and the fact that you got a little bit of everything in one cup-- which was perfect for carrying around and eating at a festival. While that was the end of our mini-barbecue tour, I still needed a little something sweet. We made a stop at the Summer House Bakery stand to get a little sugar fix. Summer House Santa Monica is another one of my favorite Chicago restaurants and its actual restaurant is connected to Stella Barra Pizzeria (one of my favorite pizza spots in the city) by a joint vestibule. They have an awesome little bakery counter in that front lobby area that sells the most delicious baked goods and its definitely a highlight of dining at both restaurants. You can order the bakery treats for dessert at both restaurants or grab a cookie to go on your way home. The cookies are huge, so one big soft salted chocolate chip cookie between the two of us was more than enough to satisfy both of sweet teeth (or is it 'tooths?'). Whether you're a fan of good barbecue, good beer, good country music, or all three, the Windy City Smokeout is perfect festival for celebrating all of it! Editor's Note: Thanks to Lettuce Entertain You for complimentary passes to the event! The opinions expressed herein, as always, are my own. It was great-- the food in particular! Confession: I have still never been to Rib Fest! It did already pass, but I totally need to go! Oh man, I'm bummed I missed this! I was out of town for most of the weekend and just couldn't squeeze it in. Everything looks amazing!